I don't usually put up a Halloween tree, but this year I might have to. I absolutely adore vintage style, and I'm obsessed with collecting antique Shiny Brite Christmas ornaments. 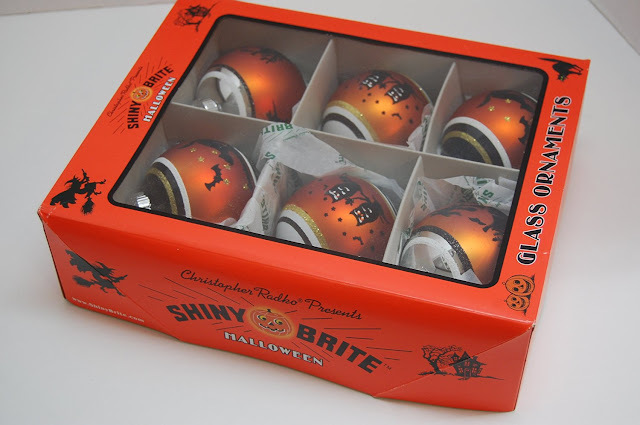 Now that the Christopher Radko company has come out with these vintage-style Halloween ornaments, I'm super tempted. 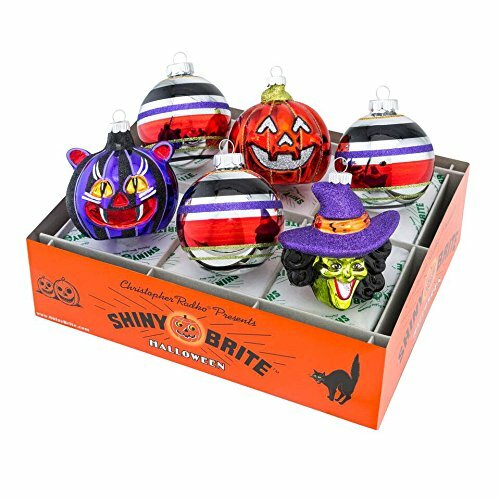 This set of six Shiny Brite Halloween ornaments depict owls, black cats, and a witch flying over a haunted house. Even the packaging is vintage style and looks really darling! I'd definitely store these in their box when I put them away for next year. (Sometime in January, knowing me). 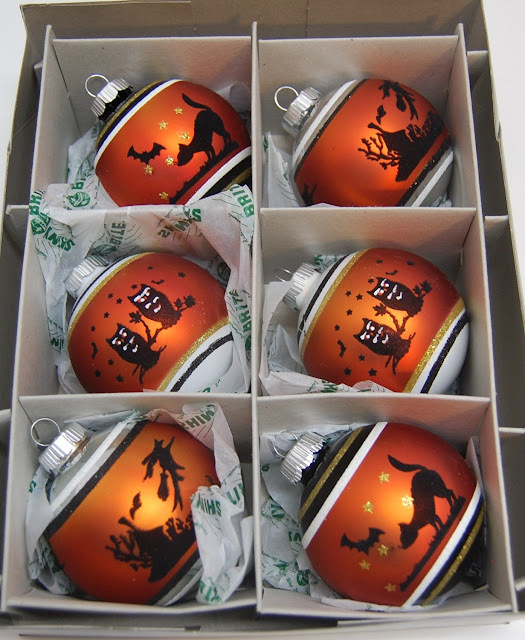 Here's a similar set, only featuring a couple darker ornaments showing witches and cats. 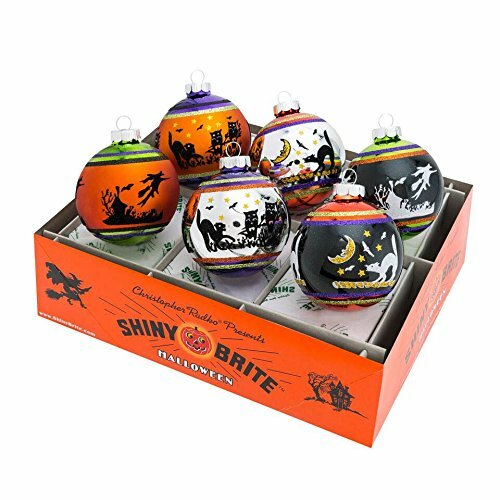 You can select a set of nine Halloween ornaments that adds black cat and bat embellished ornaments to the mix! 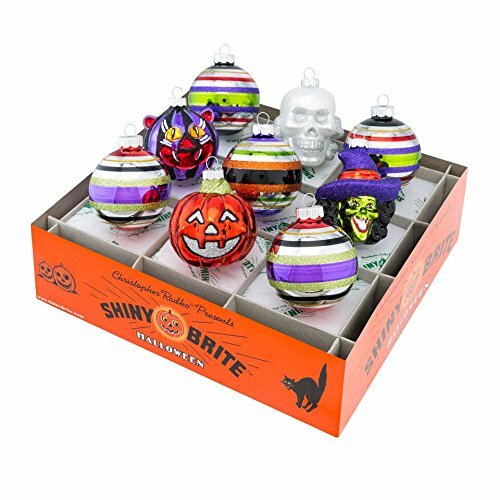 Christopher Radko and Shiny Brite teamed up to create this set of Halloween Figures and Rounds ornaments. 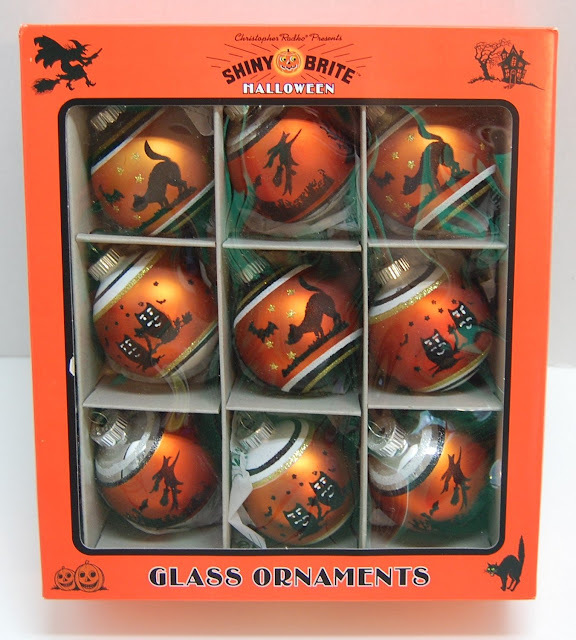 There are five ornaments striped in Halloween colors, a jack o'lantern, a black cat, a witch and a skull. All bedecked in lots of glitter, of course. 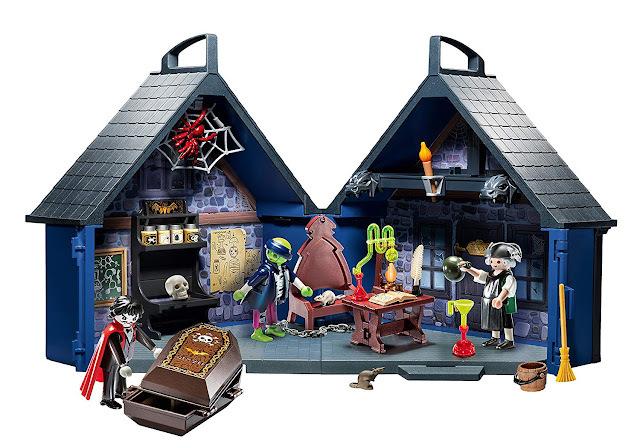 The Figures and Rounds set is offered in a six-piece set, minus two of the striped ornaments, and minus the skull. Do you put up a Halloween tree? Tell us about it in the comments below! 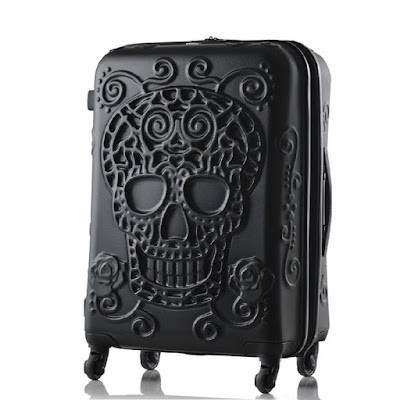 Wow - those are beautiful!